Debby Kratovil Quilts: New York Beauty or Dogwood Blossom? You decide. 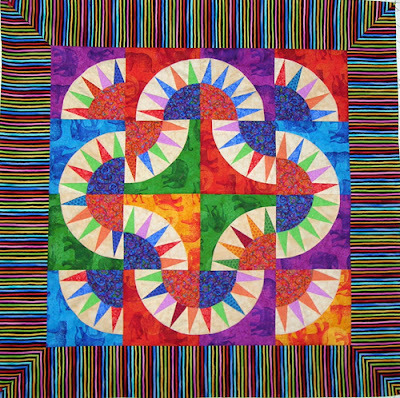 I get most of my quilt inspiration from vintage and traditional patterns. New York Beauty is one of them. 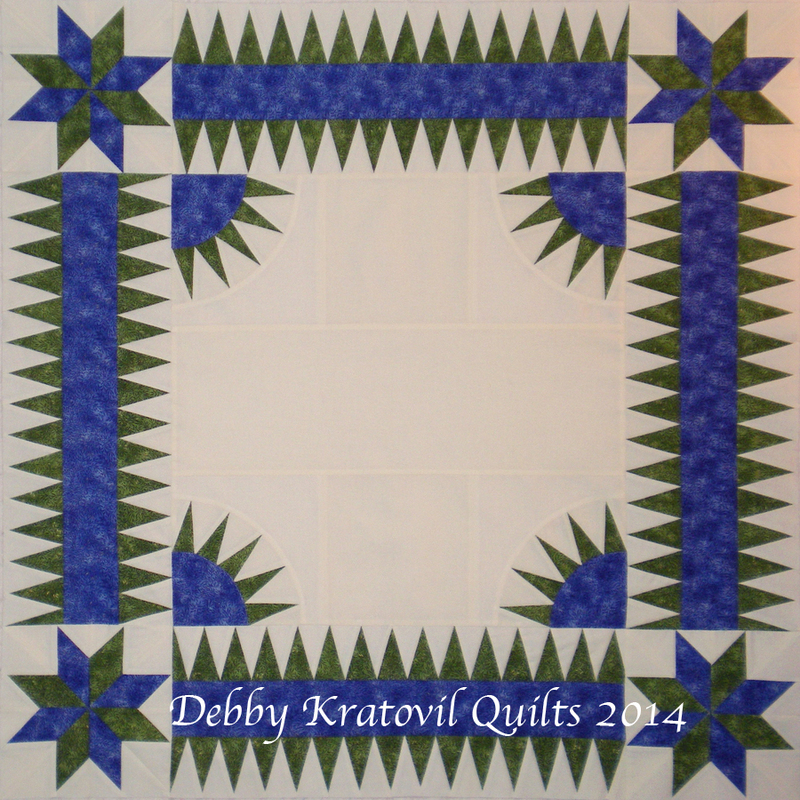 I first made a quilt using the basic curved unit with "teeth" about 20 years ago. This is Dogwood Blossom. 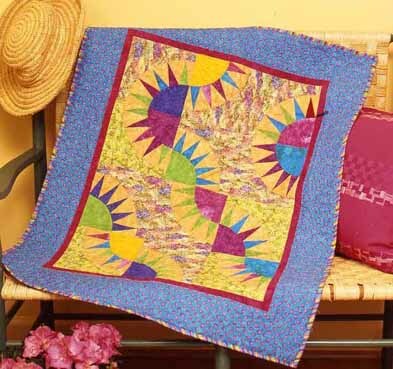 It appeared in an issue of Quilt Magazine and then was in a batch of 20 quilts that was stolen in 2005! I miss this little quilt. This lovely quilt was also in the same suitcase and now hangs on the Giant Quilt Rack in the Sky. Same units, different arrangement. What do I mean by the units? And here are some with black for the background. These were pieced a LONG time ago! 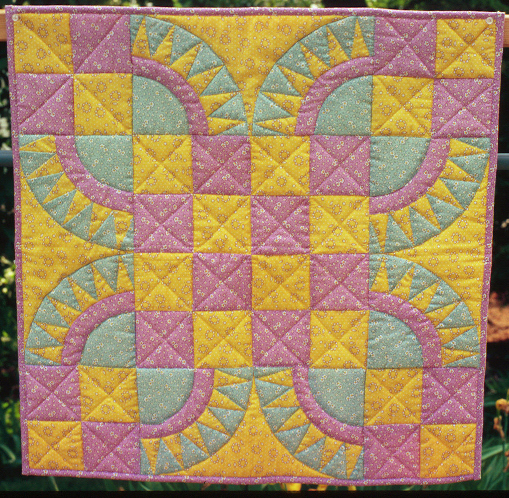 Of course, when the two Dogwood Blossom quilts were stolen, I was on a teaching trip and they were the basis of one of my workshops. 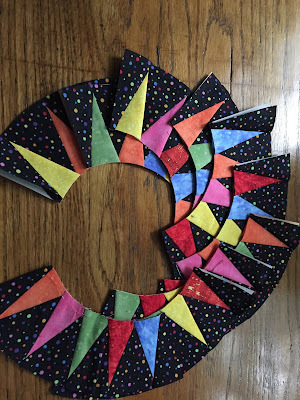 I had to beg fabric from my hostess so I could make some quick blocks in order to teach the class the next day. Then I decided to make ANOTHER one. Am I a glutton for punishment. No, I just like these blocks! Then I decided to try a real New York Beauty with the stars and the Dogtooth borders. Yes, it's a LOT of piecing. 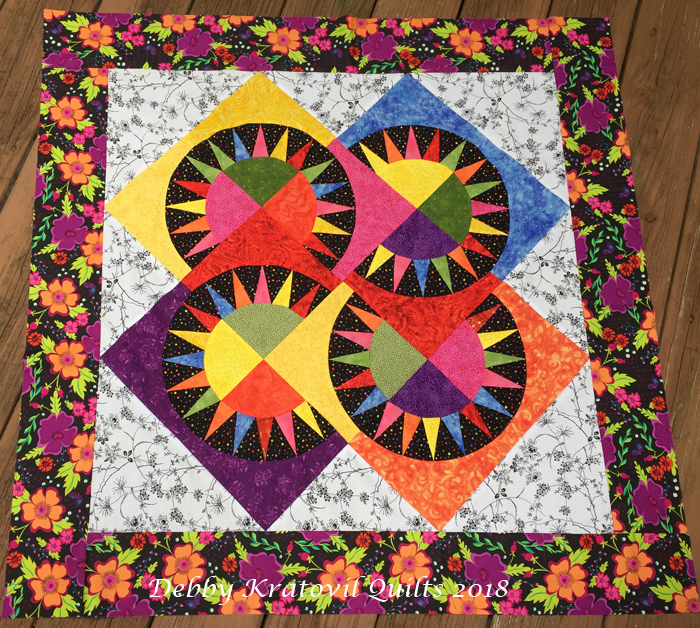 The quilt top languished for 9 years as I agonized on how to quilt it. Nine. Long. Years! 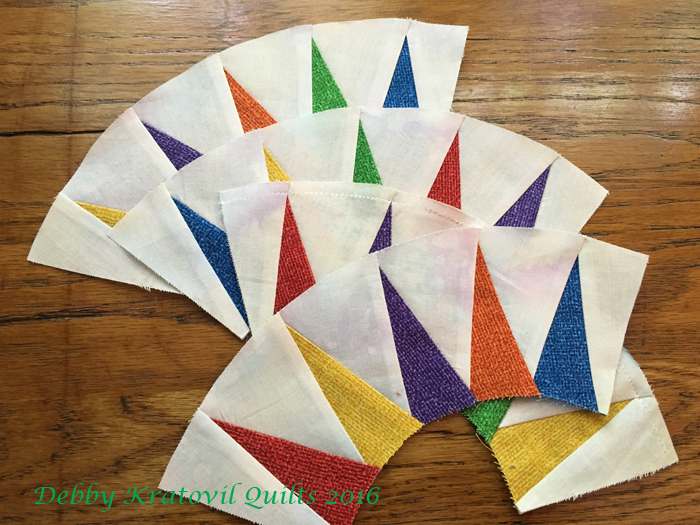 Then I asked a fellow teacher who is an educator with Handi-Quilter to quilt the purple and green one above. There are no words to describe how happy I was to get this back. 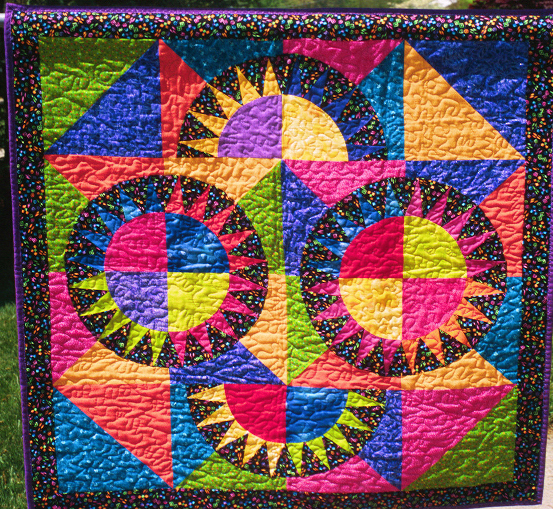 She filled in that huge center space with glorious stitching. Remember those four units near the top of the page? I combined them with some Kaffe Fassett fabrics and made a small sample. 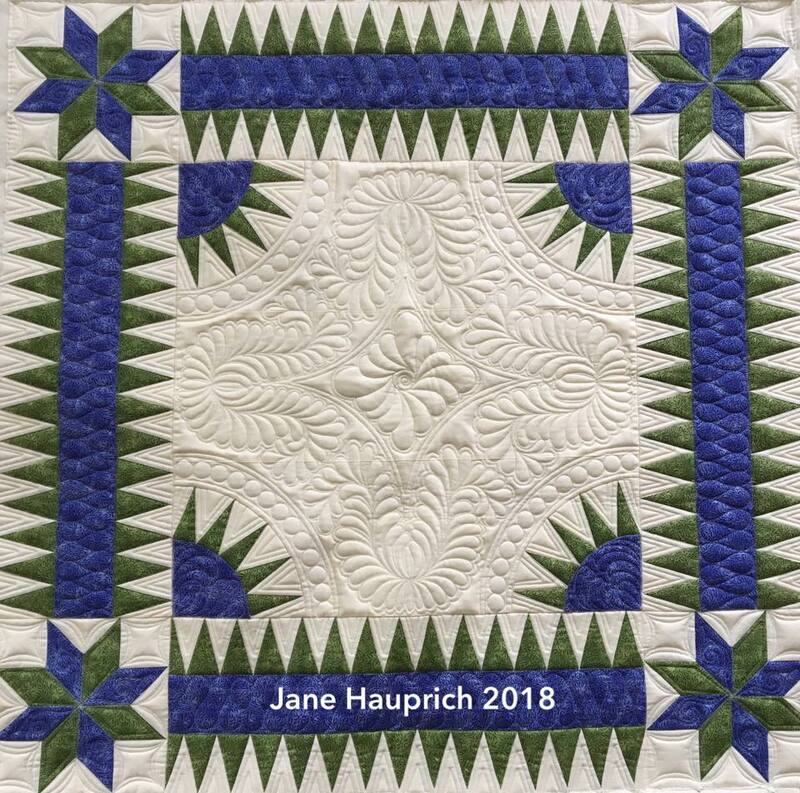 Now, if you're still with me, I want to show you my last quilt sample. I remembered I still had some OLD teaching samples in a box and I pulled them out in July. 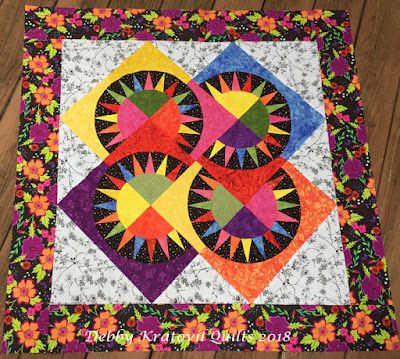 I got busy piecing and stitching and came up with this 12 block arrangement. What do you think? Whew! That wore me out. Hope you enjoyed the show. I do have these patterned for my workshop, but not in a tight pdf for downloading. But, I'm working on it! Love the bottom two, especially the one with the Kaffe Fassett fabric. Can't wait for the pattern to come out. My favorite is the last one. I do not know how anyone could ever enjoy a quilt they stole! 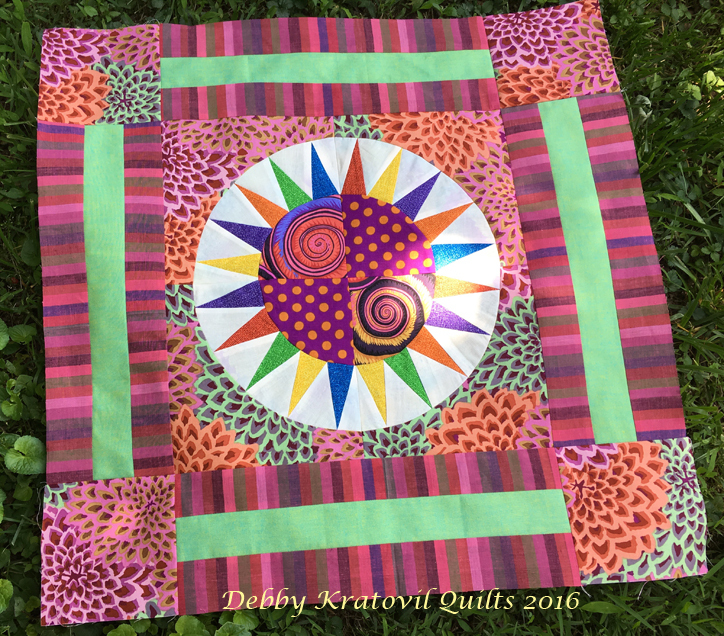 I love the swirl fabric in the Kaffe piece and the Card Tricks overlapping effect in the final piece! I think folks will line up to take this "new" workshop. I really like the green and purple one--but they are all nice. love the New York Beauty blocks! They are on my list of blocks/quilts to make. So many patterns- I'll have to live to be 100!! 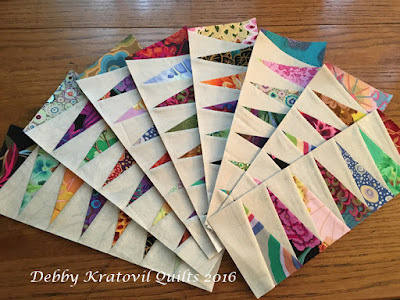 I love them all and I love paper piecing, PDF's would be wonderful too.